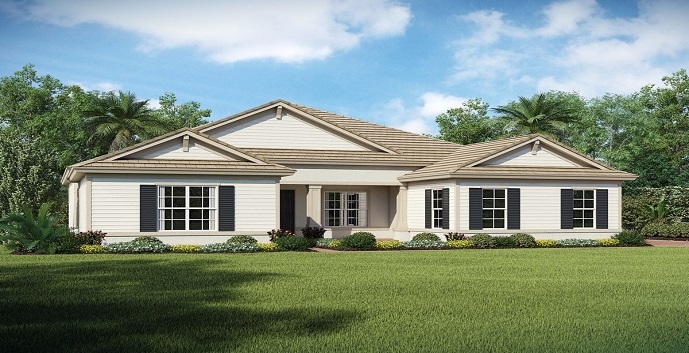 K. Hovnanian’s Reynolds Ranch community located in Jupiter Florida, is an exclusive equestrian community of just 30 estate homes offering five different floorplans for buyers. 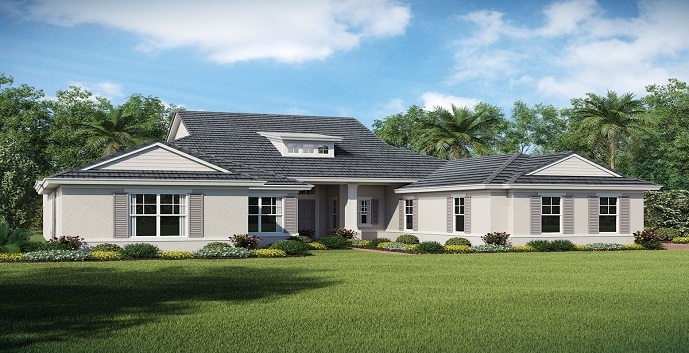 The homes will range in size from 3,152 square feet to 4,258 square feet situated on 1.5 acres within a gated community. A world class riding academy will be just 5 minutes away. These custom built single family homes will surround two pristine lakes with plenty of riding paths for the equestrian enthusiast. 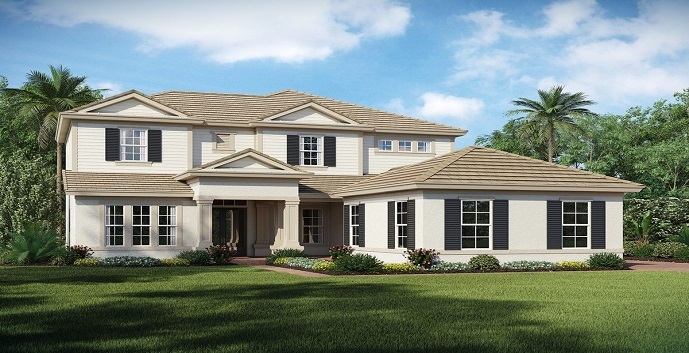 Reynolds Ranch by K.Hovnanian Homes offer 8 models to chose from. 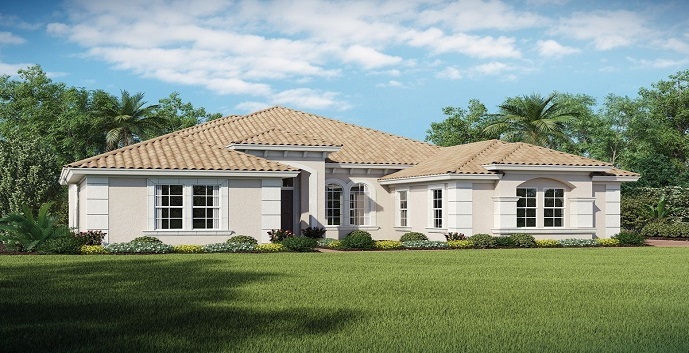 Mystique - 1 story homes featuring 4 bedrooms, 3 full bathrooms, 1 half bathroom and 3 car garage. 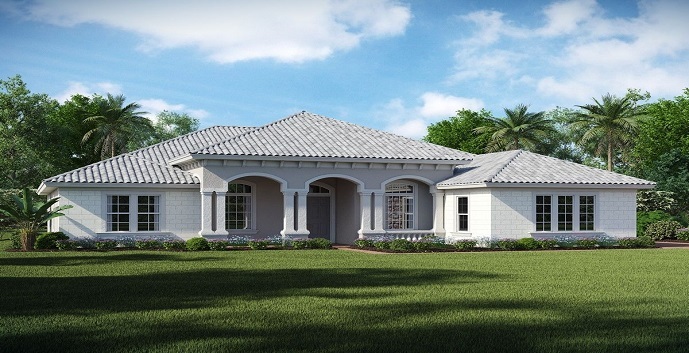 Saffire - 1 story homes featuring 4 bedrooms, 3 full bathrooms, 1 half bathroom and 3 car garage. Wellington II - 2 story homes featuring 4 bedrooms, 3 full bathrooms, 1 half bathroom and 3 car garage. Ashby II - 1 story homes featuring 4 bedrooms, 3 full bathrooms, 1 half bathroom and 3 car garage. Branford - 1 story homes featuring 4 bedrooms, 4 full bathrooms, 1 half bathroom and 3 car garage. Hawthorne - 1 story homes featuring 4 bedrooms, 3 full bathrooms, 1 half bathroom and 3 car garage. Wildwood - 1 story homes featuring 4 bedrooms, 4 full bathrooms and 3 car garage. Devonshire - 1 story homes featuring 4 bedrooms, 4 full bathrooms, 1 half bathroom and 3 car garage.